← ETCH (Education Transforming Community Health) is recruiting new officers! REMINDER: Applications due MONDAY, April 3, 2017. The University of Washington offers internship opportunities for students interested in gaining valuable hands on experience in the medical profession. The training room offers an exciting and challenging setting for students interested in acquiring injury evaluation, management and rehabilitation skills as well as professional interaction with the medical community. Student interns work with Certified Athletic Trainers and Team Physicians to provide health care to all NCAA Division I athletic programs at the University of Washington. Graduates of UW’s Athletic Training Program have used their experiences as a stepping stone into successful careers as Athletic Trainers, Medical Doctors and Physical Therapists. Interested students should contact Chelsea Larsen or Download an Application to apply by Monday, April 3. 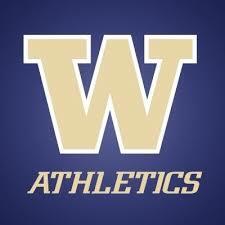 Visit http://www.gohuskies.com/sports/2015/3/24/sports-medicine-internships.aspx for more information. This entry was posted in Employment/Internship, Occupational Therapy, Physical Therapy, Premedical. Bookmark the permalink.